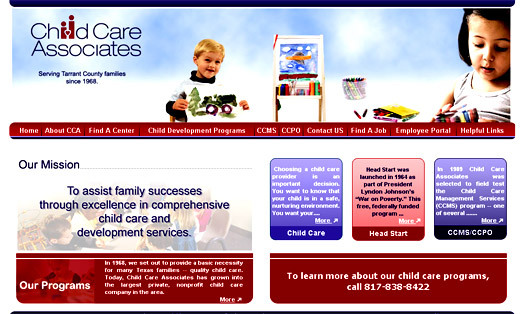 Child Care Associates is the largest private, nonprofit child care company in the Fort Worth area. 1. Dynamic Locations - The admin has the ability to add, edit, and delete center locations. 2. Find a Job - The site features a dynamic module for users to see recently posted jobs and apply online. Segnant created a powerful website for Child Care Associates that allows them to communicate with the public effectively.